A local NAACP chapter leader is calling for an investigation into the admissions process for Loudoun County's highly selective STEM programs because only one African American student was accepted for the school's inaugural year. Loudoun County NAACP President Pastor Michelle Thomas said 65 African Americans applied to the Academies of Loudoun, which encompasses three different schools focused on science, technology, engineering and math, or STEM. 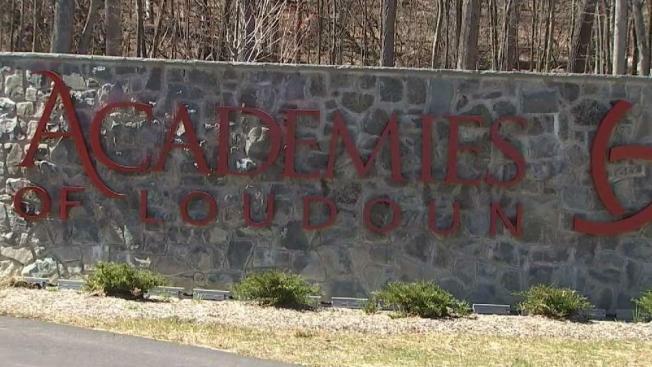 The Academies of Loudoun opened in August 2018 and more than 1,500 students are currently enrolled. Admission is based on students' academic progress and test scores. Thomas says the requirements are too vague and the process for admission is susceptible to bias. "It's subjective. Any time you have subjective criteria ... there may be at play issues of racism," she said. Thomas says she sent a letter to the county school system requesting more transparency about the admissions process. Asian students make up nearly 75 percent of the student body, followed by white students who make up 21 percent. African Americans account for less than half of a percent of the student body. The remaining percentage of students are Hispanic or American Indian and Pacific Islander. A spokesperson for Loudoun County Public Schools says the overall population of students in its system is 48 percent white, 22 percent Asian, 18 percent Hispanic and 7 percent African American. "LCPS is committed to a rigorous and equitable admissions process for all three programs within the Academies of Loudoun. Beginning with admissions windows opening in the fall of 2019, changes to the admissions process will be made to decrease testing bias and better measure aptitude and passion for STEM, rather than achievement alone," a spokesperson for the school system said in a statement. "We're not asking for the criteria to be lowered. We're asking for transparency, clarity and accountability in the criteria and admissions process," Thomas said. LCPS staff is in the process of reviewing a letter received from Michelle Thomas, president of the Loudoun County NAACP, regarding the admissions process for the Academies of Loudoun. LCPS is committed to a rigorous and equitable admissions process for all three programs within the Academies of Loudoun. Beginning with admissions windows opening in the fall of 2019, changes to the admissions process will be made to decrease testing bias and better measure aptitude and passion for STEM, rather than achievement alone. LCPS also is committed to creating early opportunities for all students, especially those often underrepresented in advanced academic programs such as the Academies of Loudoun, to participate in STEM and advanced academic activities. LCPS is expanding the EDGE (Empowering Diversity in Gifted Education) program to all elementary schools and is building and expanding the after-school EDGE Plus and Level Up programs to more elementary and middle schools. Additionally, the Academies of Loudoun has begun hosting field trips for middle school students to visit the Academies of Loudoun and is planning future summer experiences at the Academies for interested students.